We’re pretty big sports fans at SelectSpecs and two years ago we were glued to our TV screens as we had our most successful Summer Olympics in 100 years at Beijing. London 2012 couldn’t come soon enough in our eyes, but in the meantime we’ve been enjoying the Winter Olympics in Vancouver just as much, even if Team GB aren’t likely to do so well in these Winter events. I would suggest that we don’t get the snow in this country, but lately it seems the Canadians could borrow some of ours! We’re quite looking forward to seeing what Team GB’s first real medal chance Zoe Gillings can do tonight in the Women’s Snowboard Cross event and seeing how well we do in the Curling, which I remember being hooked on four years ago as we were actually quite good! 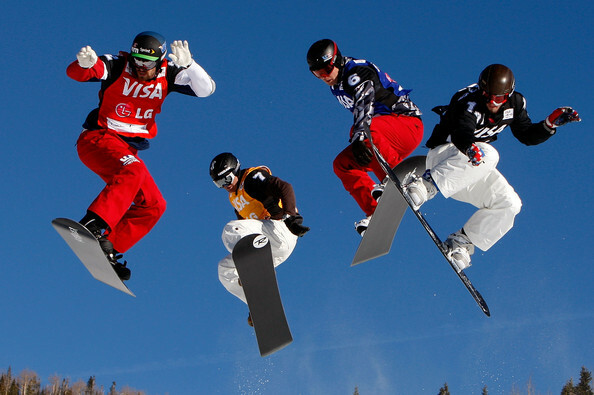 Bollé scored a double in the Snowboard Cross event with Gold for American Seth Wescott and Bronze for Tony Ramoin. The Bollé brand has been well represented for a number of years now in Snowboard Cross thanks to its fantastic range of performance products and stylish image. Seth Westcott, already a world champion in 2005, vice world champion of the world in 2003 and 2007, 7 times medalist in the X Games and one of the masters of his sport, gave a faultless performance and took first place in his final run. At 21 years old it was Tony Ramoin’s Olympic debut where he demonstrated his talent run after run to take a well deserved bronze medal. 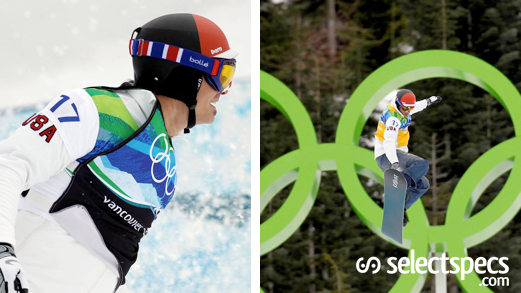 Seth and Tony both wore Bollé goggles and helmets to help them secure their Olympic medals. 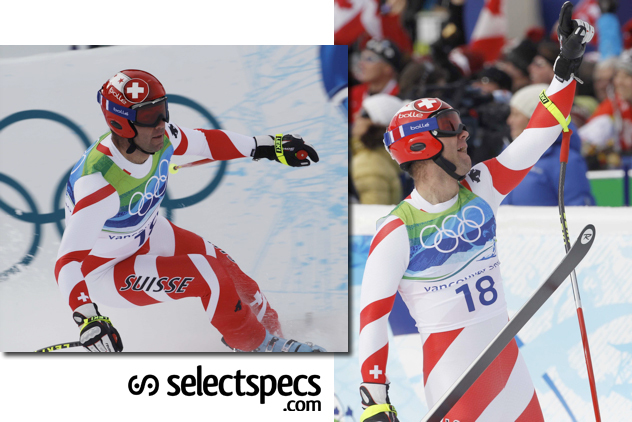 After an exceptional 2009 where Didier Défago won 2 downhill skiing championships in Wengen and Kitzbuehl, he again raced to a dramatic victory to take gold in the Men’s Downhill at the Winter Olympics in Vancouver. 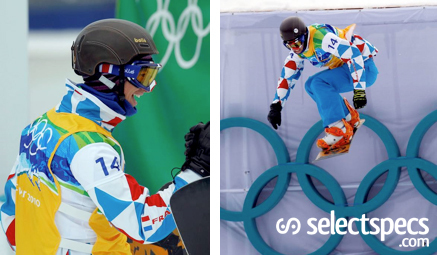 Didier Défago also wore Bollé goggles & a Bollé helmet to help him achieve success on the slopes.